Unisex sport set consisting of 2 t-shirts + 1 trouser. 1. Short sleeves with wide rib to contrast. 2. 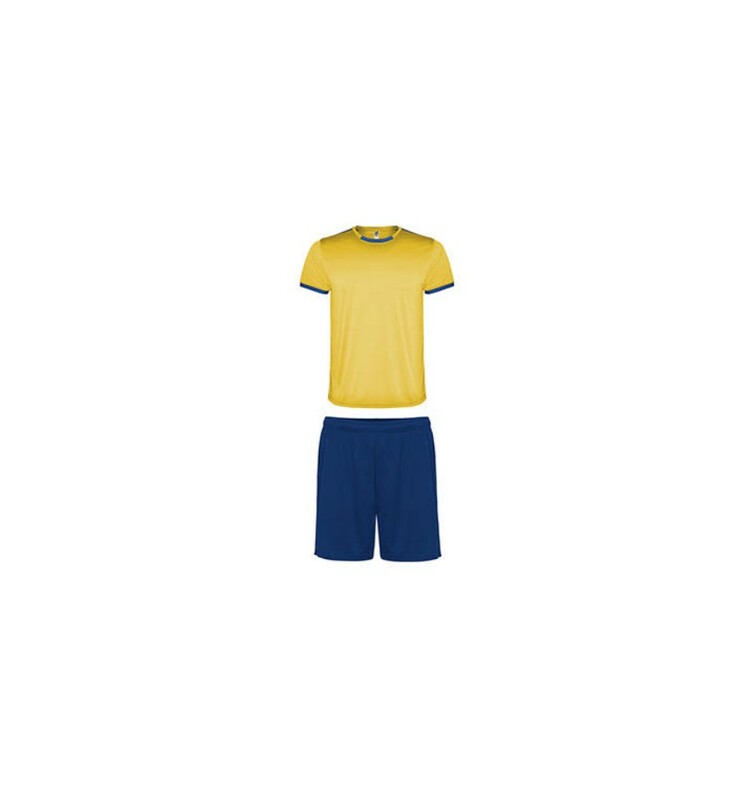 The colour of the second shirt has colours inverted. 3. Crew neck two-colour ribbed and reinforced covered seams..
4. Trouser with elastic waistband with inner cord to tone and safety stitching. * 4 years in catalogue.